The Lions (“Os Inigualaveis”) Farroupilha Records (Brazil) Sixties guitar rock from Sao Paulo with covers of “The Lion Sleeps Tonight”, “Tequila” and Ray Charles’ “Mary Ann”. Now that is one cool cover! 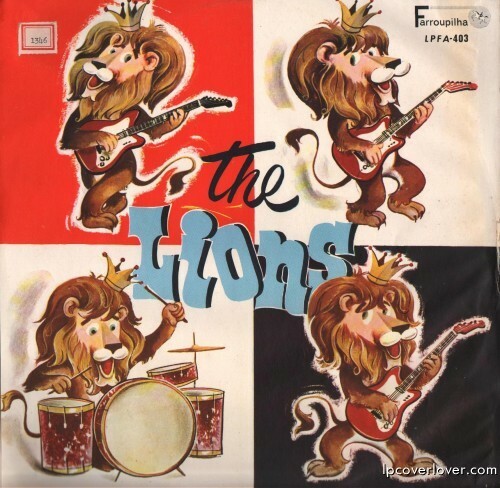 Thetranslation for The Lions is OS LEOES> By the way, Brazil speak Portuguese. FOR ME EMILIO RUSSO IS THE BEST IN YOUR GUITAR.